The online MSN with a Concentration in Nurse Executive at South College gives nurses a convenient, accessible way to improve their academic qualifications and expand their career options. In this program, you’ll gain the skills and expertise necessary for positions in nursing leadership, including financial management, organization building, healthcare informatics, evidence-based practice, and systems management. 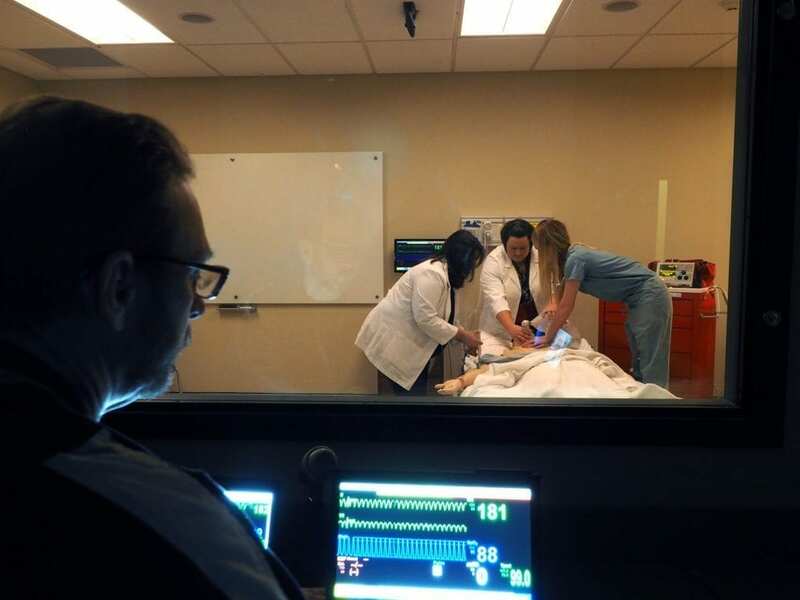 Through a blend of about 80% online instruction and 20% clinical practicum, you will develop and apply executive-level management skills tailored to the healthcare workplace. Thanks to our distance learning course platform, you can pursue your degree on your own schedule without missing out on discussion and collaboration with classmates and faculty members. This program prepares students for certifications like NEA-BC (Nurse Executive Advanced – Board Certified), NE-BC through the American Nurse Credentialing Center, and CENP (Certified Executive Nursing Practice) through the American Organization of Nurse Executives. Nurses must be effective communicators and educators who assist patients and staff throughout difficult transitions while demonstrating financial accountability, systems thinking, and a constant awareness of patient care quality. As many nursing leaders, managers, and executives prepare to retire, it’s essential to prepare nurses who can exhibit these qualities to move into key roles. What can I do with a Master of Science in Nursing with a Concentration in Nurse Executive? To be successful in this program, students need self-discipline, excellent time management skills, and the motivation to learn and take on new roles and responsibilities. As a nurse executive, you will also need excellent leadership, critical thinking, and interpersonal skills. This program is the most advanced nursing program offered by South College. 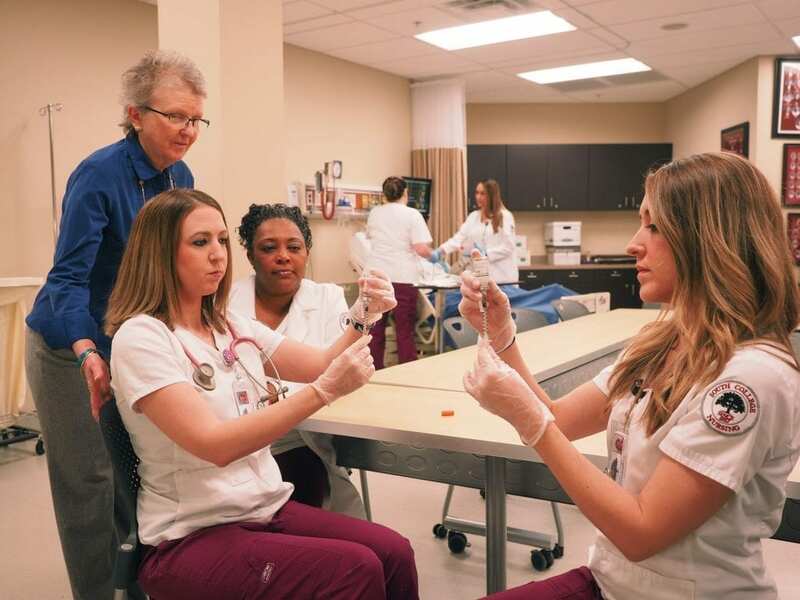 The South College Bachelor of Science in Nursing program offered at the Parkside Learning Site (Knoxville) received initial approval from the Tennessee Board of Nursing in December 2003, with full approval granted in September 2008. Approval for the addition of the Nashville Learning Site was granted in November 2016. The Master of Science in Nursing program received initial approval in November 2016. The South College Bachelor of Science in Nursing program offered at the Asheville Learning Site received initial approval from the North Carolina Board of Nursing in February 2016. The Bachelor of Science in Nursing program offered at the Atlanta Learning Site received initial approval from the Georgia Board of Nursing in September 2018. The Bachelor of Science program offered at the Knoxville and Nashville Learning Sites are accredited by the Accreditation Commission for Education in Nursing Inc. (ACEN, 3343 Peachtree Road NE, Suite 850, Atlanta, GA 30326, 404-975-5000, www.acenursing.org). ACEN approved the Substantive Changes report regarding the addition of the BSN program at the Nashville Learning Site in January 2017; Continued Accreditation granted in January 2018 following an on-site review; Voluntary Withdrawal of Accreditation effective July 2019. South College is pursuing initial accreditation for the baccalaureate and master’s degree programs in Nursing by the Commission on Collegiate Nursing Education (CCNE) (655 K Street, Suite 750, Washington, DC 20001, tel: 202-887-6791 (http://www.ccneaccreditation.org). A site visit was conducted in September 2018 and decision regarding accreditation will be made in May 2019.